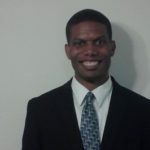 Providing cash flow solutions and invoice factoring to businesses in: Georgia, Atlanta, Macon, Alpharetta and Roswell. Riviera Finance is an invoice factoring company providing the following services for companies throughout Atlanta, Macon, Alpharetta, Roswell and all cities throughout Georgia. This plumbing contractor used to work for a nationwide company and was producing over two million dollars a year for them in revenue. After gaining several years of experience, he decided to step out on his own and specialize in a cutting edge pipe in liner method. Though saving his clients money, his lack of reliable funding left him very limited on how many clients he could service a month. 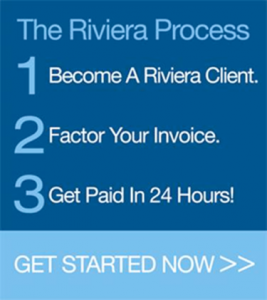 Riviera Finance was able to step in and remove the limitations by factoring their invoices and maximizing their cash flow. As a result the company is once again experiencing growth. Start ups: We can do! No history, no track record, no problem. This husband and wife team had worked for a staffing company for many years and decided to go out on their own. Both had many years experience but had never owned their own company. After several rejections from banks on their loan request, they were referred to us by a former client and a loan officer from a small community bank. We were able to fund their first-ever payroll and get them up and running using their previous week’s receivables.